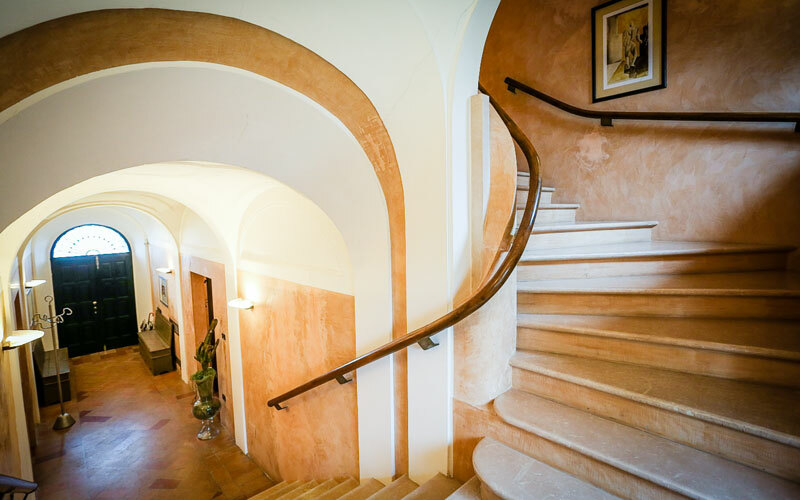 Once the summer residence of the Archbishops of Urbino, the 17th century Villa Tombolina, has been transformed into a charming country house and the ideal place in which to rediscover the simple pleasures of life, in the heart of Marche. 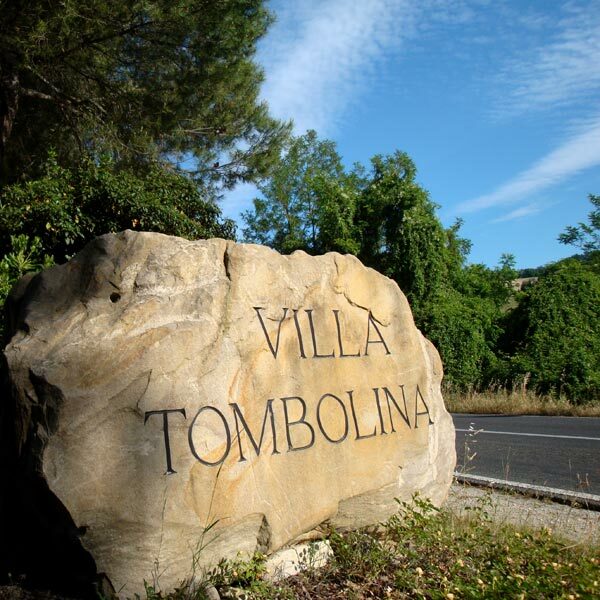 Villa Tombolina boasts truly ancient origins and, in fact, there has been a "tumba", or farm, on the site since medieval times. 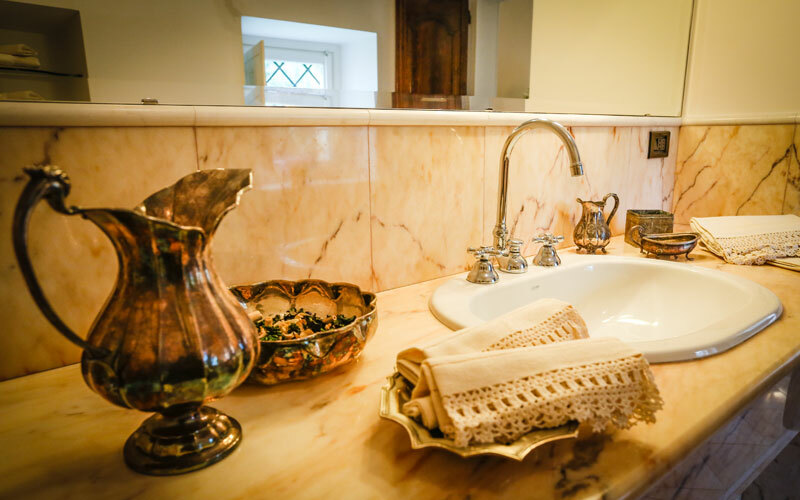 Today, as a quick glance at the lovingly tilled fields surrounding the farm stay will tell you, the area's agricultural tradition is still very much alive and kicking. 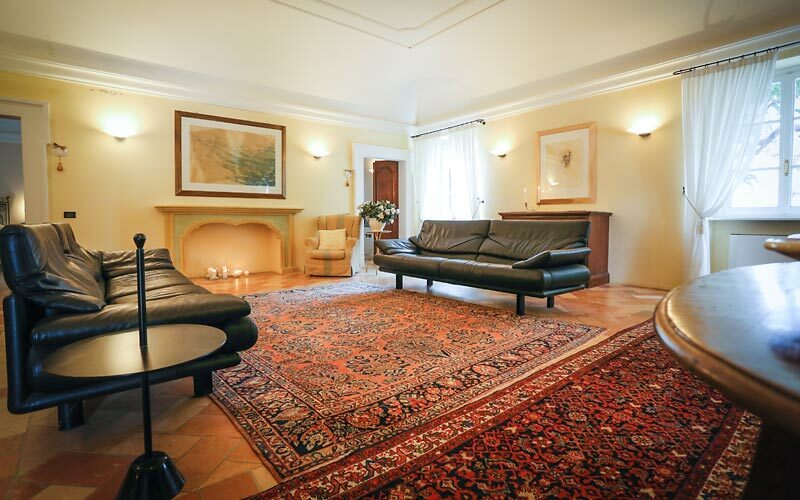 Villa, country house or apartment: the choice is yours! 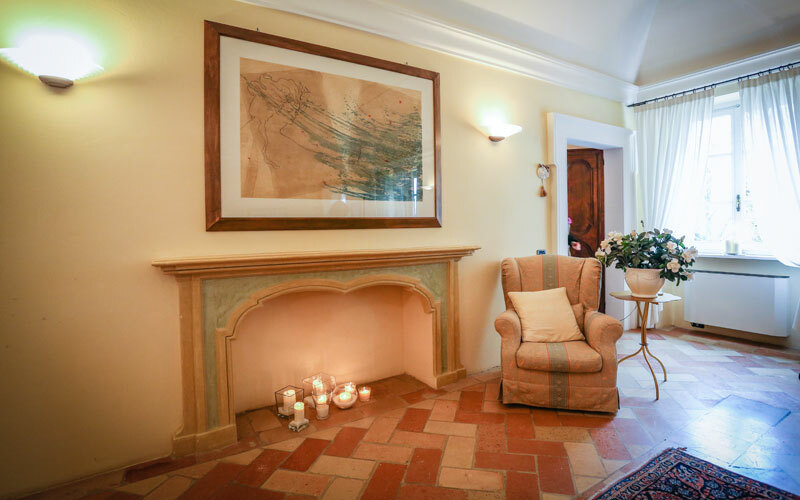 Peaceful and welcoming, exactly like you would expect a rural retreat to be, Villa Tombolina is an authentic home-from-home in the country. 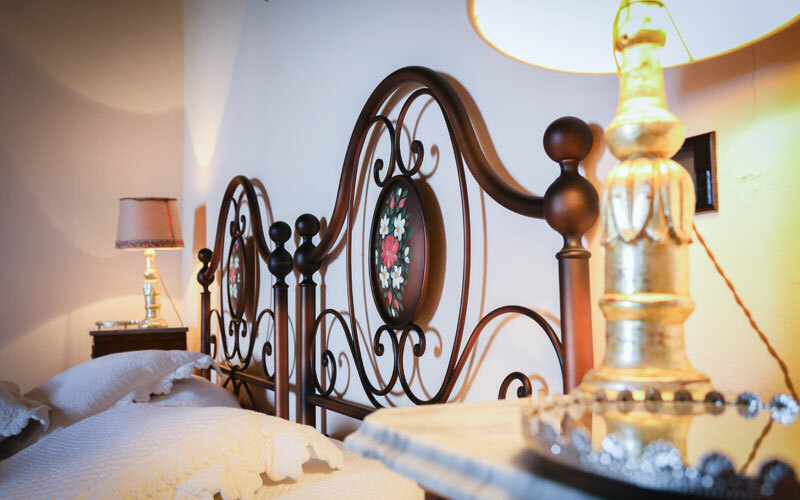 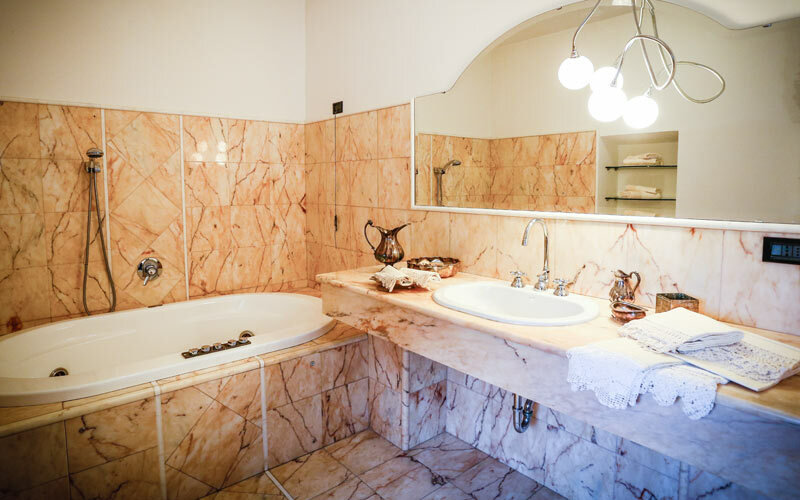 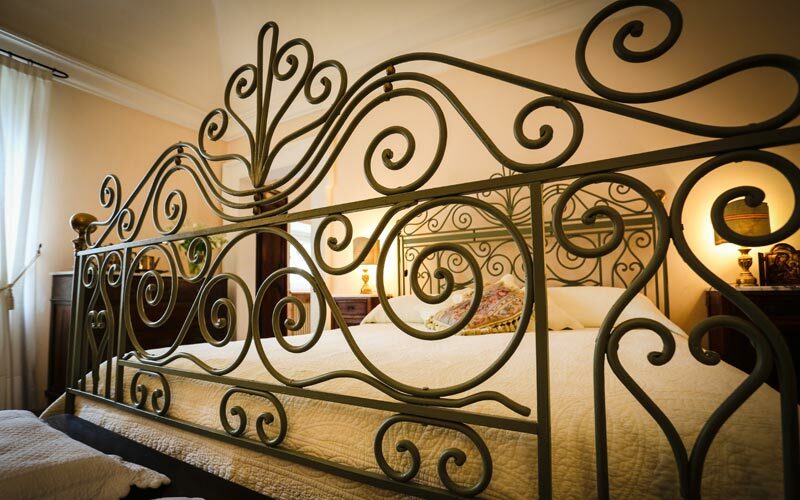 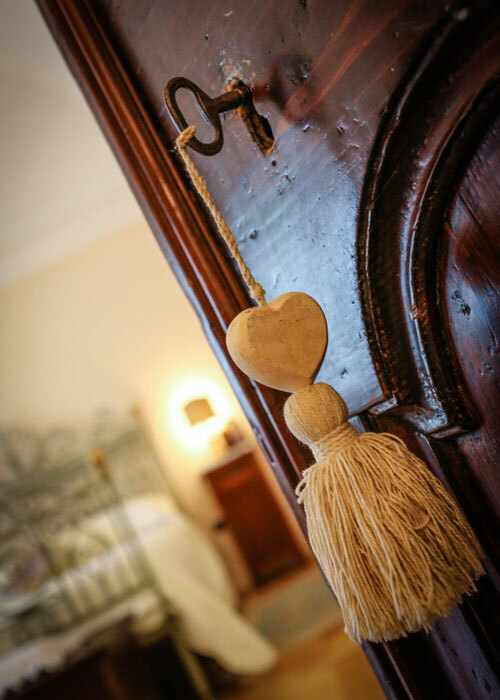 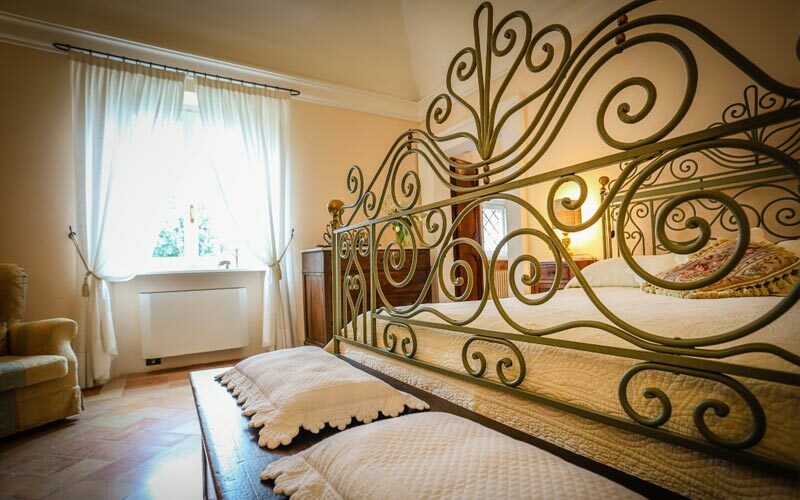 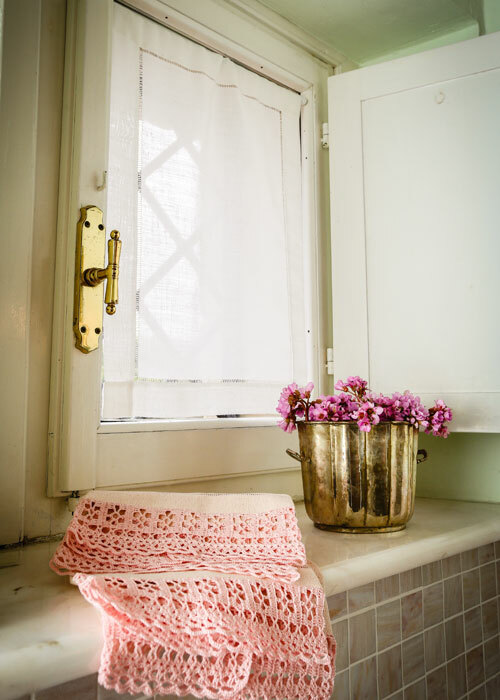 Villa Tombolina provides high quality guest accommodation in 9 bedrooms, 4 suites and 2 independent apartments, located in the various period buildings on the site. 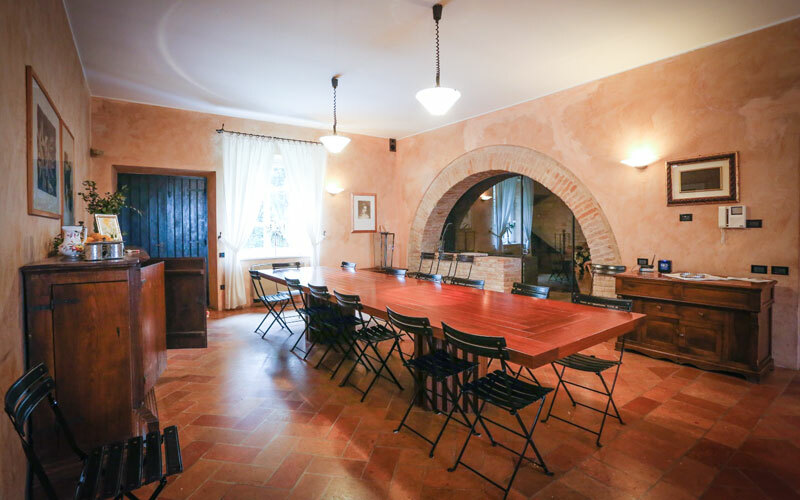 A dining room, country kitchen, historic wine cellar and large function hall (this last with a seating capacity for as many as 100 people), are situated in the main Villa. 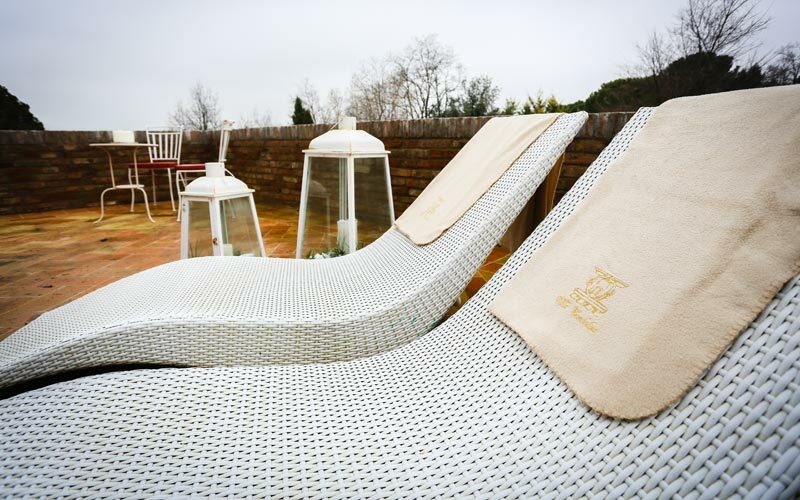 In the pool or in the fields? 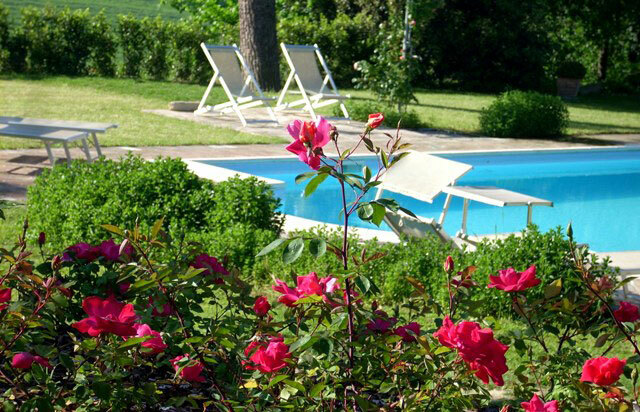 The perfect choice for a relaxing vacation, Villa Tombolina has two swimming pools, a solarium, and lovely gardens with plenty of secluded spots in which to linger at leisure. 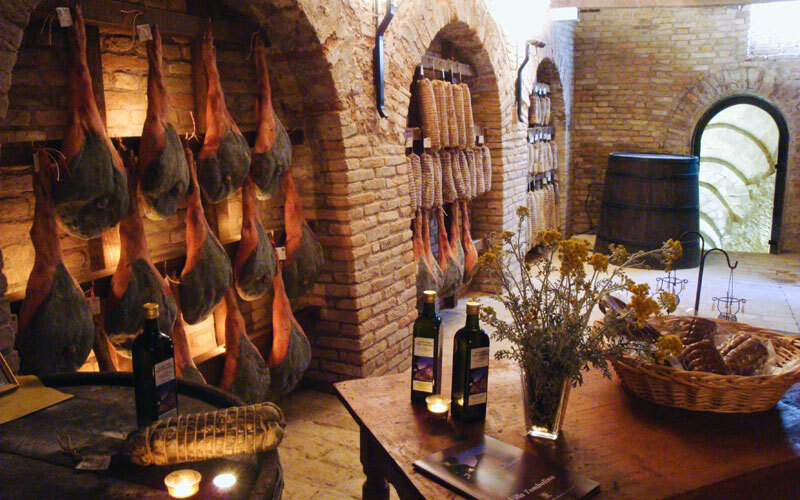 Experience the magic of Marche with Villa Tombolina's fascinating wine, art, history and shopping tours! 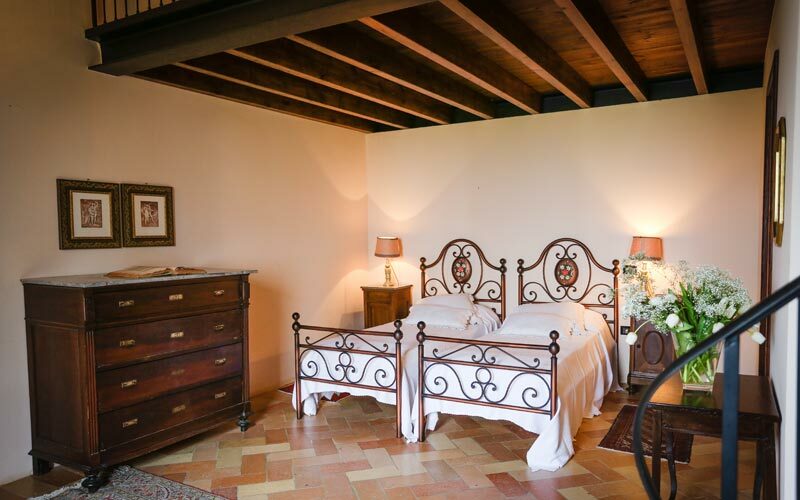 Active types are free to explore the large agricultural estate surrounding Villa Tombolina and, if they like, can even get involved in daily activities on the farm, including grape and olive picking. 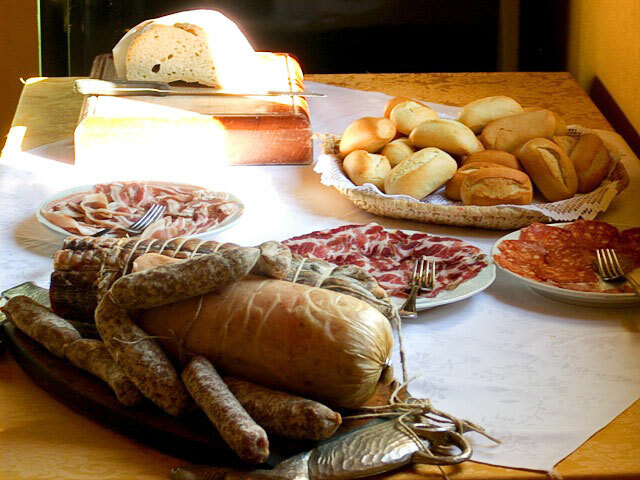 Tastings of the area's olive oil, wine, cold meats and cheeses are held on a regular basis. 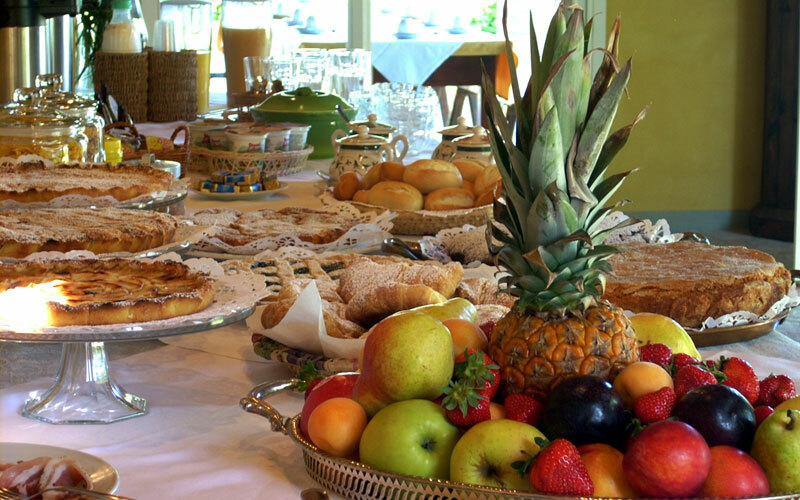 Those searching for an edible souvenir of a special gastronomic gift for those back home, will find what their looking for in Villa Tombolina's farm shop. 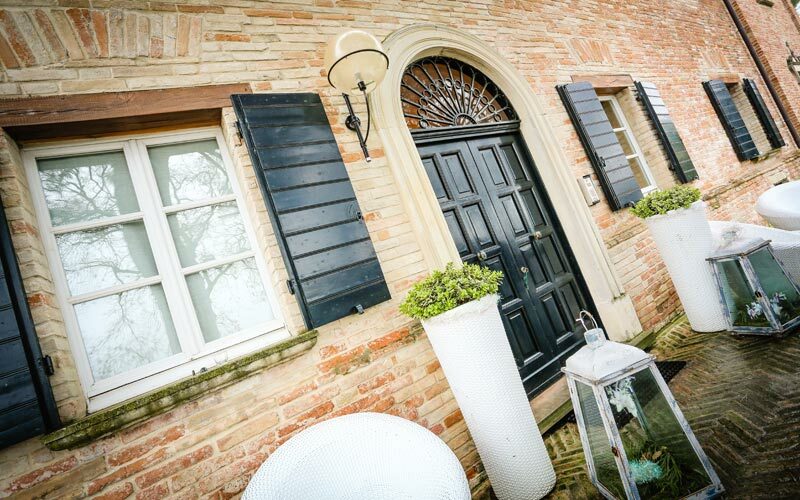 Montemaggiore al Metauro is located right in the heart of Italy's Marche region. 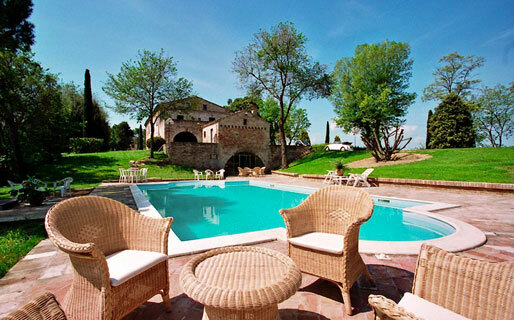 It's here, amidst the hills of the Valle del Metauro and the Gola del Furlo that you'll find 'Villa Tombolina. 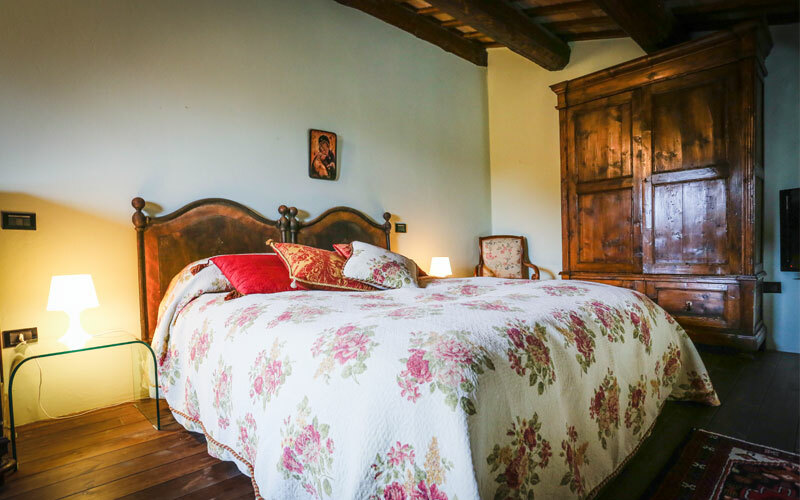 Immersed in the green of Marche's rolling countryside, and yet within easy reach of the Adriatic sea, this charming farm stay is a mere 30 minute drive away from the city and beaches of Fano. 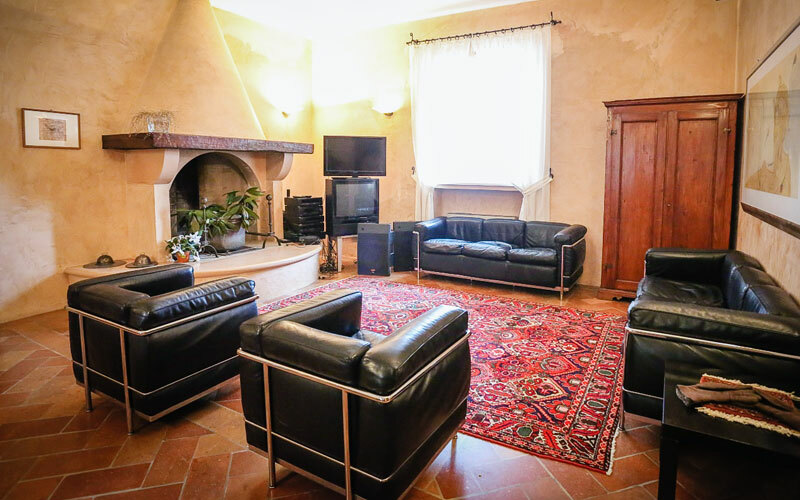 A great base from where to explore both coastal and inland Marche, Villa Tombolina lies within easy driving distance of Pesaro, Gradara, Senigallia, Loreto, the Conero Riviera, Sirolo, Numana and Loreto .